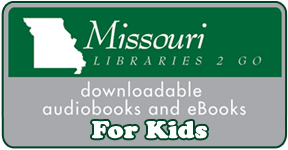 Looking for an book not available in our catalog? 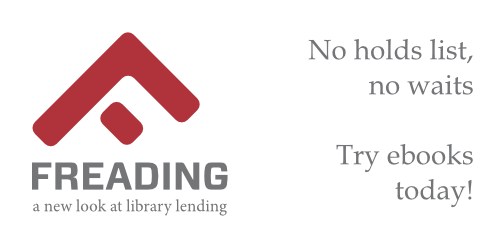 Call us at 417-682-5355 to see if a book is available through Interlibrary loan. 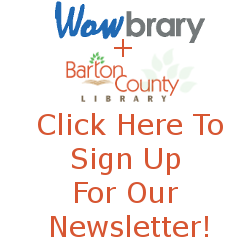 Barton County Library System has over 59,000 items in our computerized catalog. The library added over 4,500 new items to their collection in the past year. We have over 4,400 active patrons and circulate approximately 240 items per day. Any item that we do not have in our collection may be borrowed from another library. Library district residents may request that Barton County Library borrow or photocopy needed items from another library through interlibrary loan. Response time will depend on the source/lending library. Please allow 2-3 weeks for most loans to process. If the item is not available through the courier system, there will be a $2.50 charge to help defer postage. The source library may also charge for the loan. 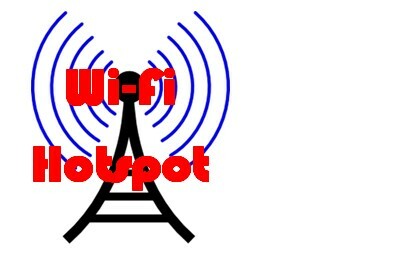 WiFi Hotspot available at all three Barton County Library Branches during Regular Library Hours! 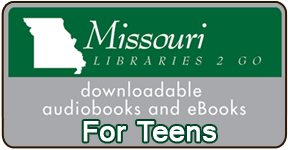 With the use of your library card, you can have wireless internet access on your own laptop, tablet, or smart phone. The library provides wireless Internet access for our patrons with the use of a special password/code. Internet filtering is being used on all Library computer stations and wireless connections in order to comply with CIPA (the Children’s Internet Protection Act). Trying to Find a Specific ebook?